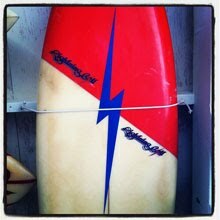 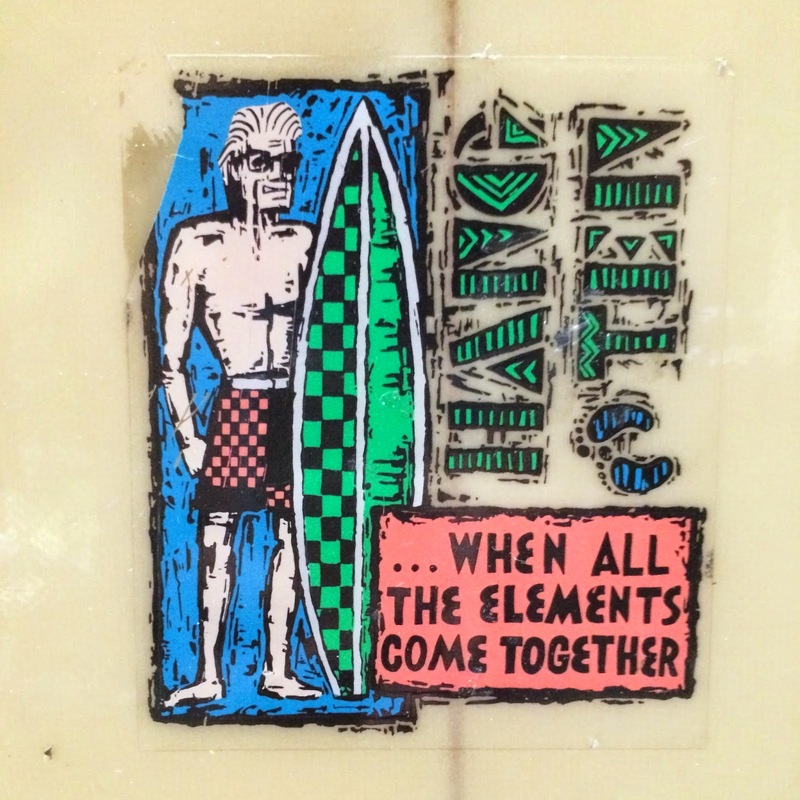 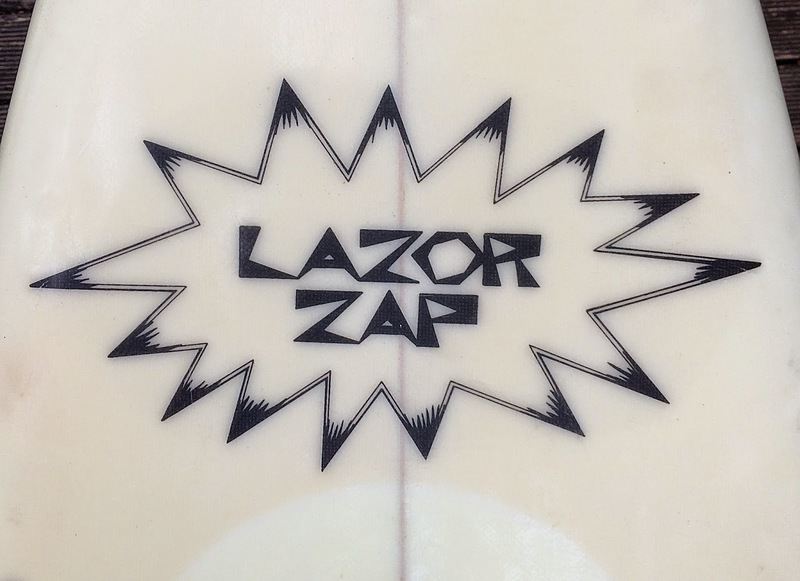 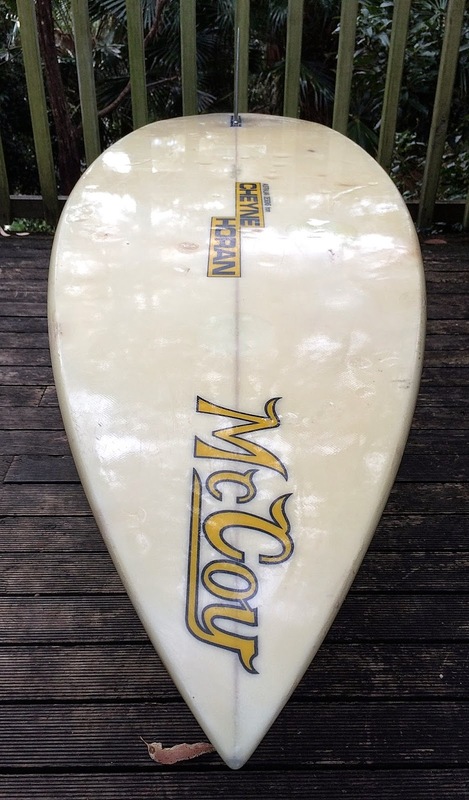 No serious surfboard collection is complete without a Geoff McCoy designed Lazor Zap. 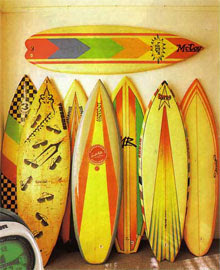 One of the most influential and controversial of all of the designs of the innovation period. 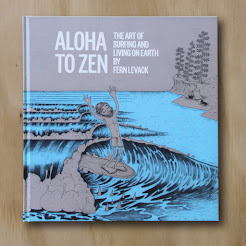 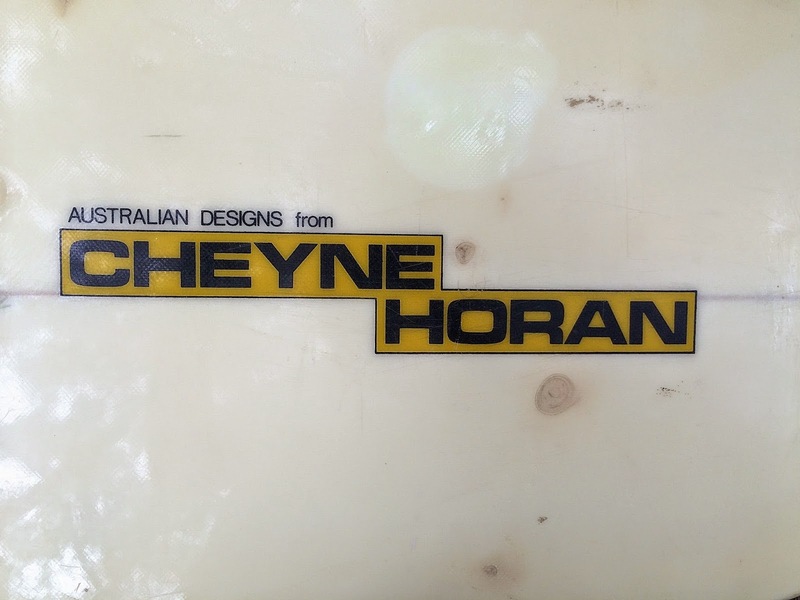 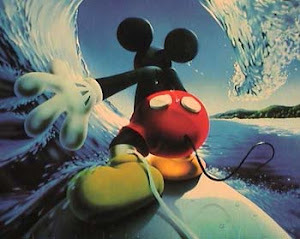 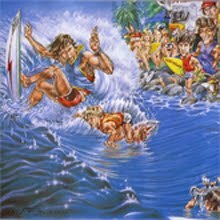 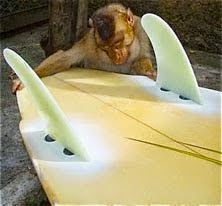 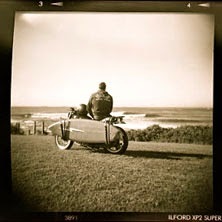 Yet this must have design is not easy to ride, in Geoff's own words is " To take advantage of the Lazor Zap design you need to be a high level surfer". 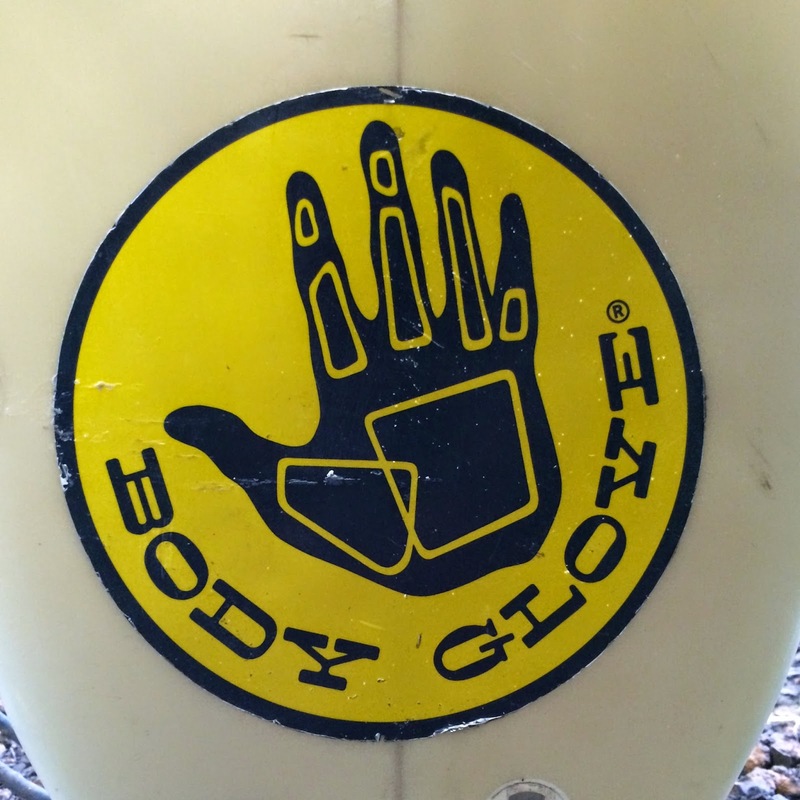 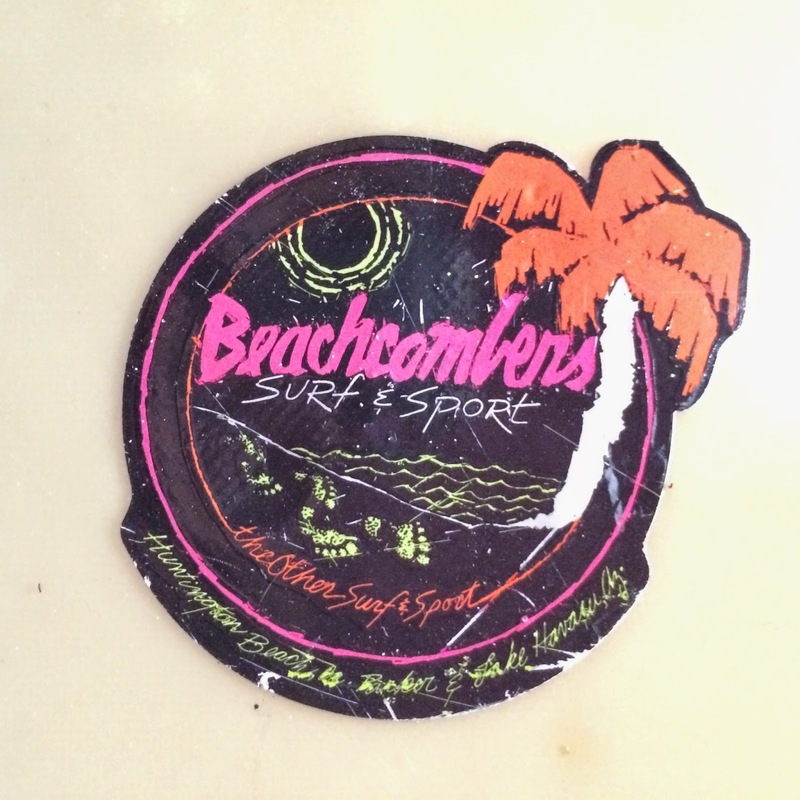 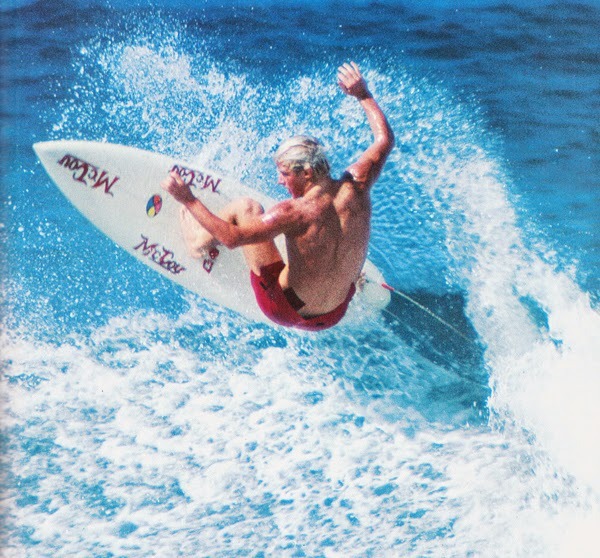 Geoff says "In 1978 I began a design revolution with the introduction of my Lazor Zap concept; with its wide area, thick tail and extremely pointed low resistant nose area this Lazor Zap design revolutionised surfboard design." 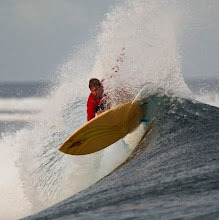 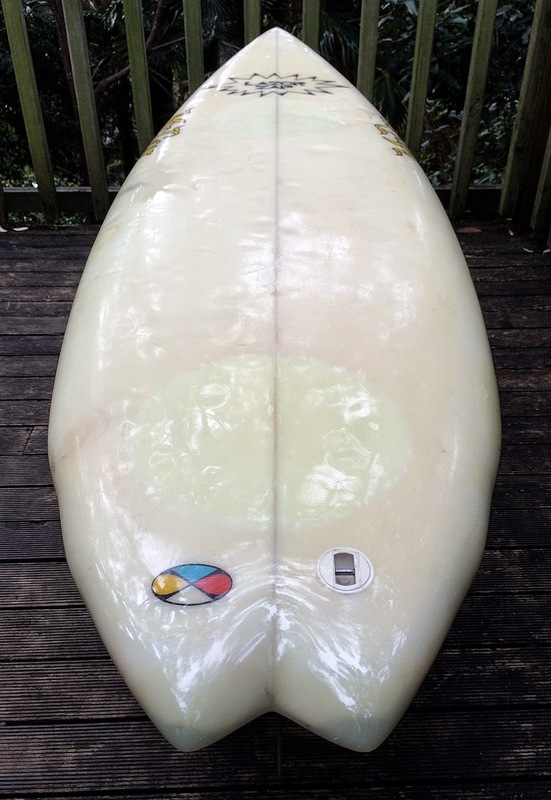 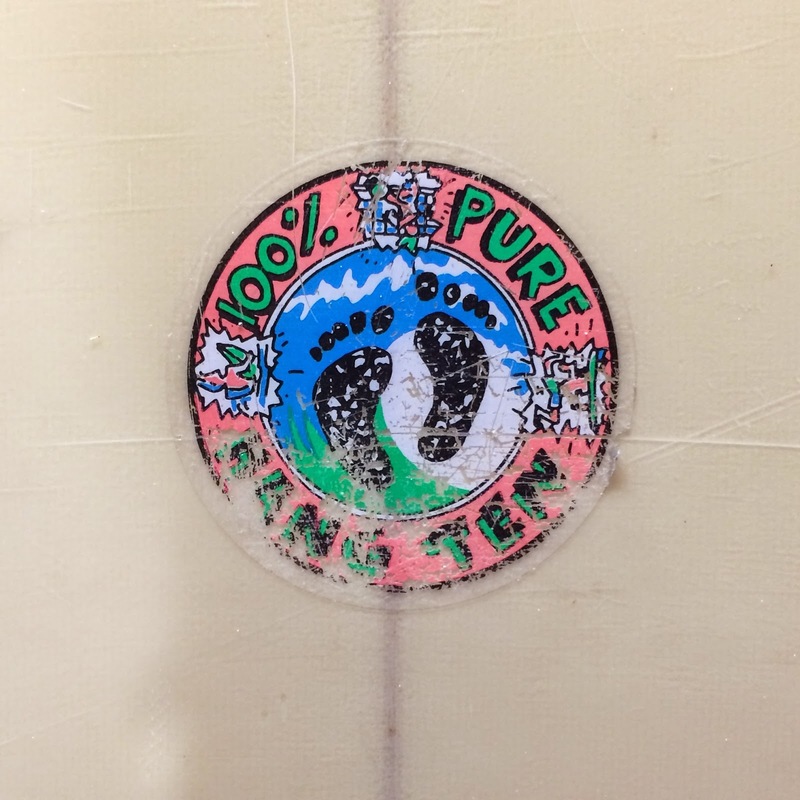 Indeed Simon Anderson credits Geoff as one of the 5 fathers of the 'Thurster' as he incorporated the 'no nose' and pulled back mid point into his 3 fin design. 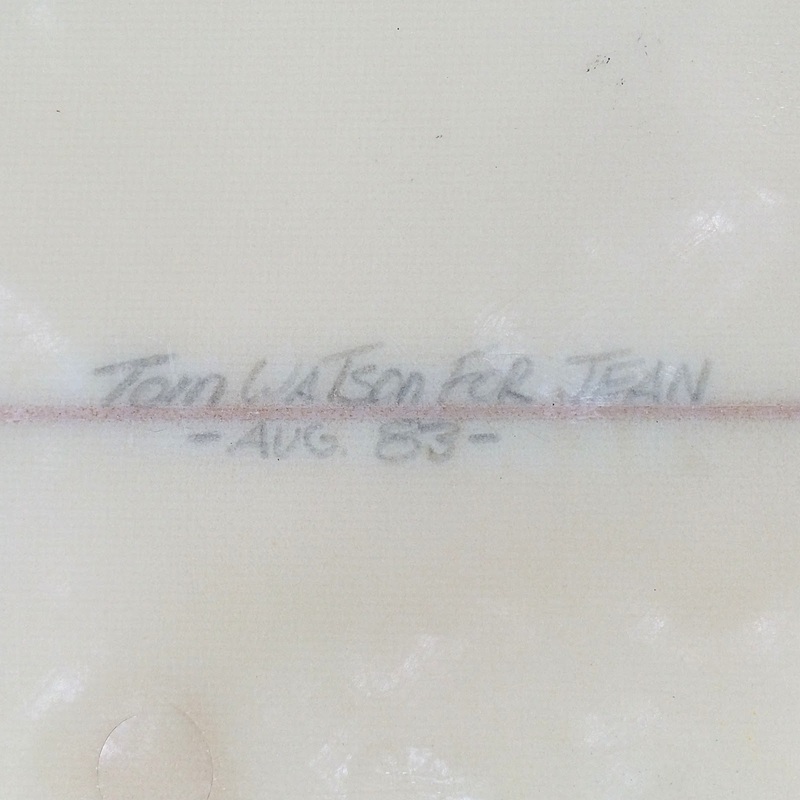 This particular example is a US version of the design shaped by Tom Watson in Cosa Mesa in August 1983. 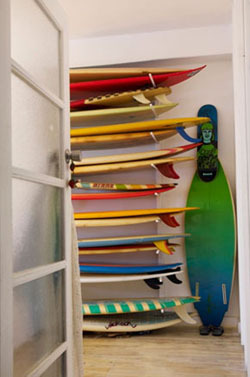 Beautiful in its simplicity and decoration. 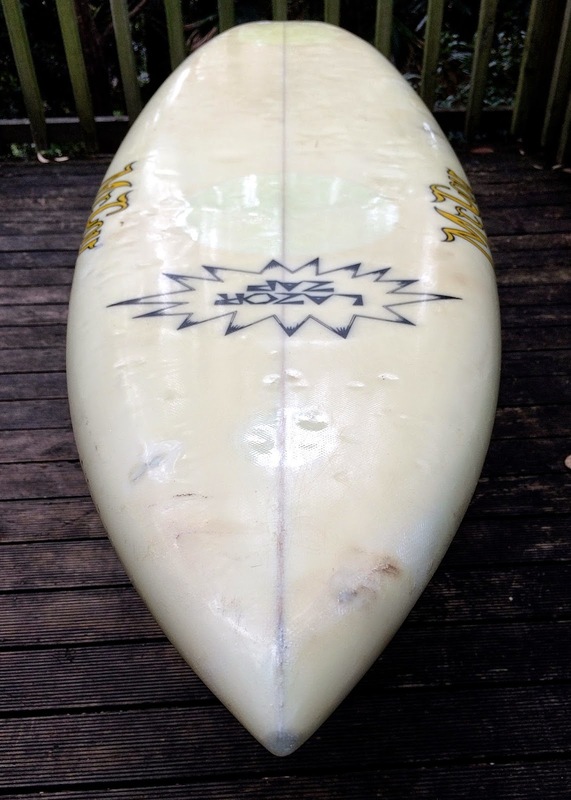 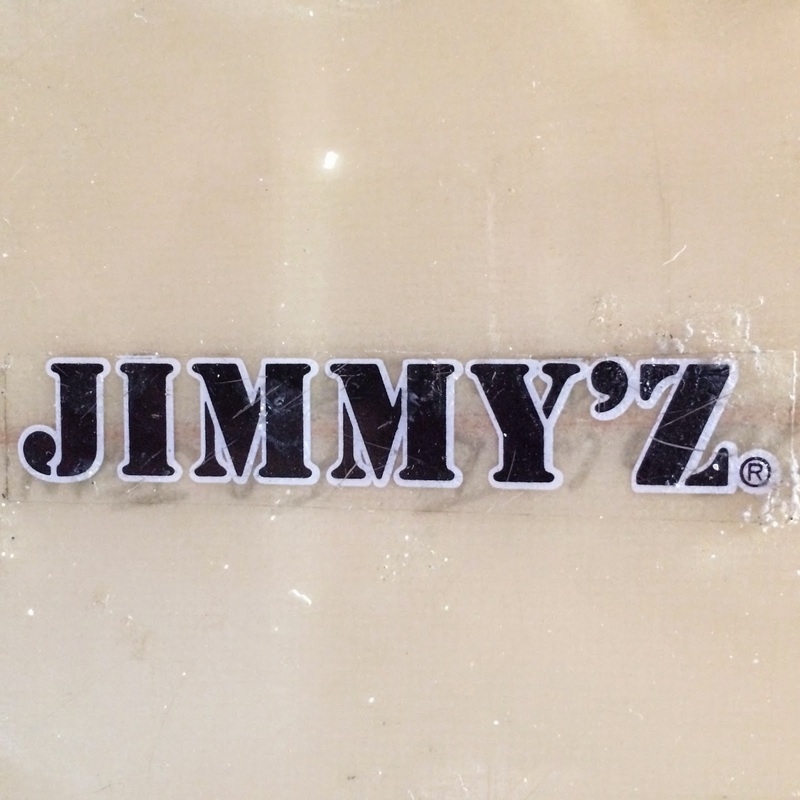 I'm pleased to share with the before and after pics of my US made zap as the original stickers tell as much of a story as does the board. 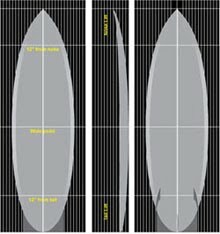 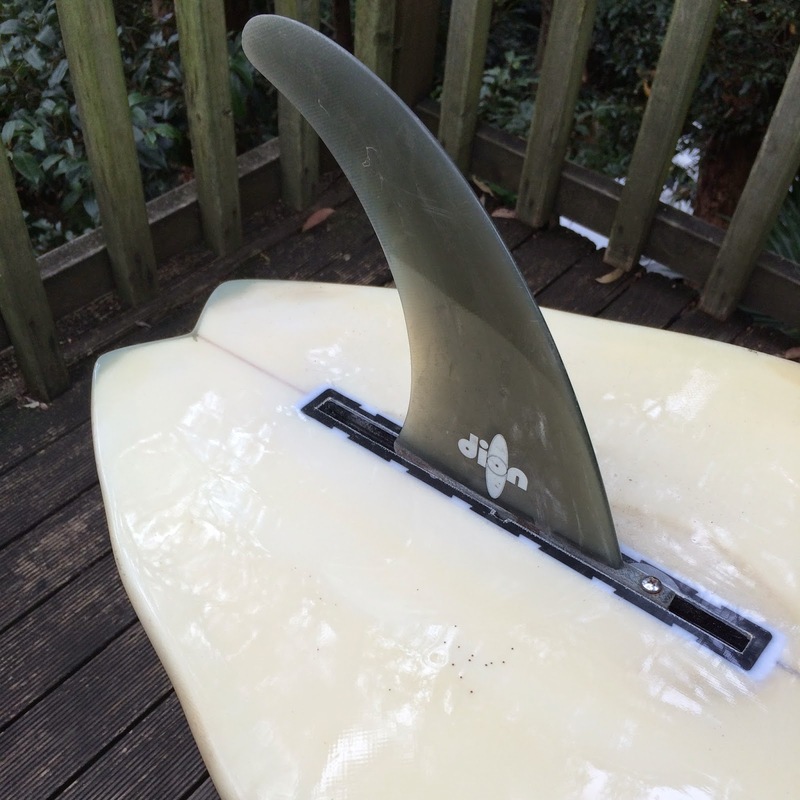 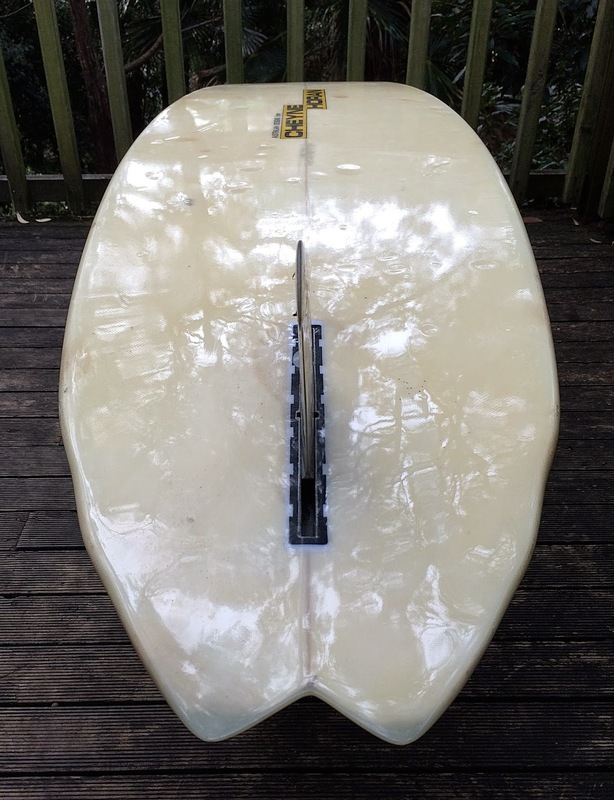 My Gull Wing has been designed specifically for my wide thick tail single fin boards and has proven itself to be extremely efficient and a very reliable performer in a wide range of wave sizes and conditions.."
Nicely put !! 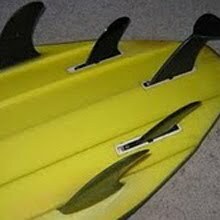 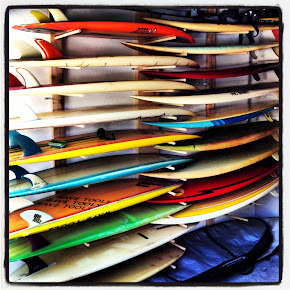 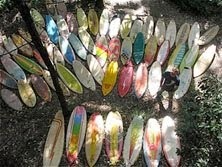 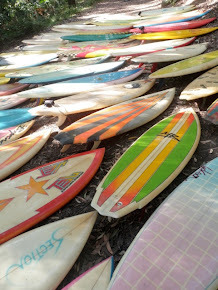 I'd say my McCoy lazor zap has to be the favored surfboard in my collection, sporting the boomerang fin..